Who else can provide you with a recipe box full of tasty, high-quality ingredients? Mom? Nan? 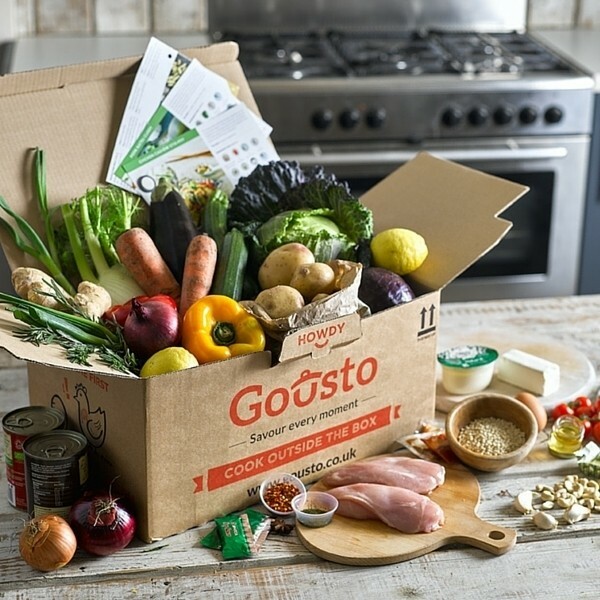 You can definitely depend on Gousto to deliver a kit of fresh food to use for all your healthy meals. Perfect for students who are learning how to cook or just want to try new dishes and need the ingredients packed and ready to use! From over 20 recipes a week to browse through, you’ll be getting an all-rounded, balanced diet with a variety of meat, fish and vegetable dishes. Gousto makes cooking fun and gives young people exciting alternatives to otherwise bland meals! We show all the latest Gousto student offers right here, giving you discount codes to get money off your next Gousto recipe box! All you have to do is sign up for FREE and you’ll receive awesome Gousto student vouchers and deals for your next order. Exclusively for students, apprentices and people aged 16-26.